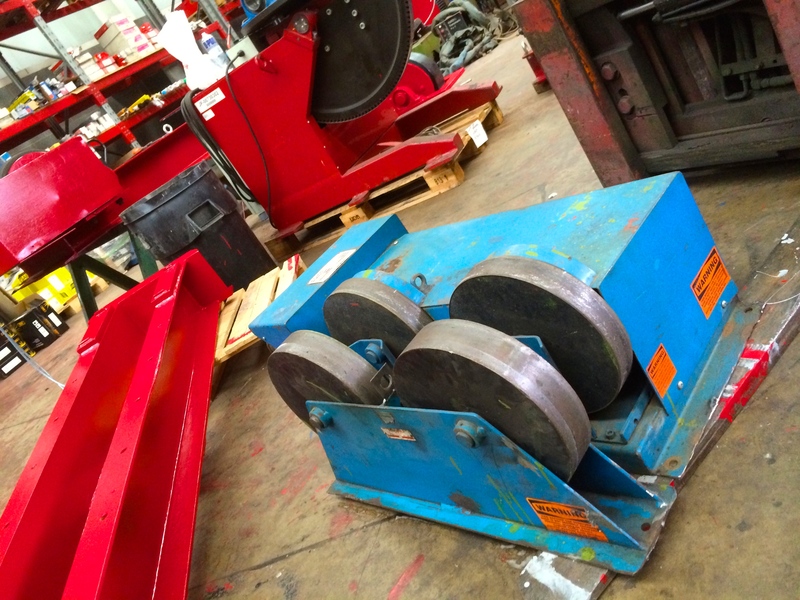 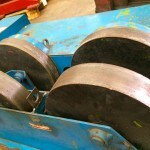 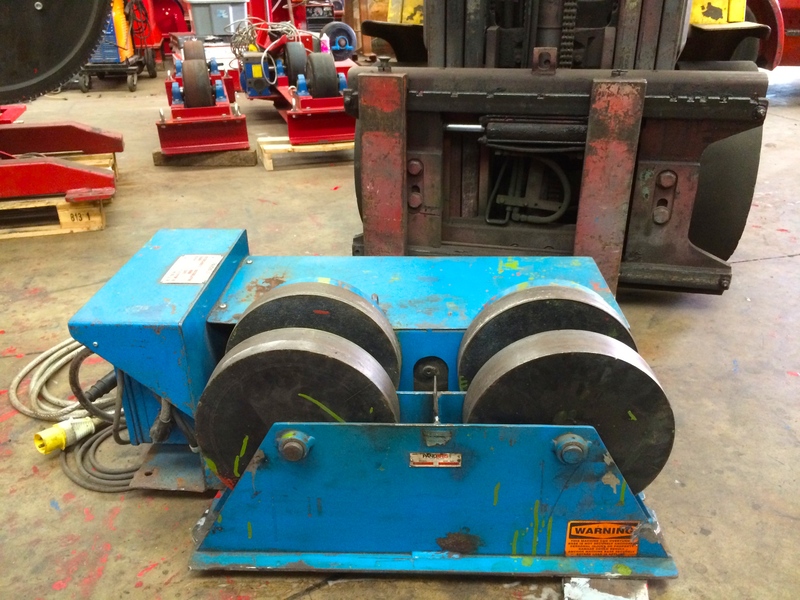 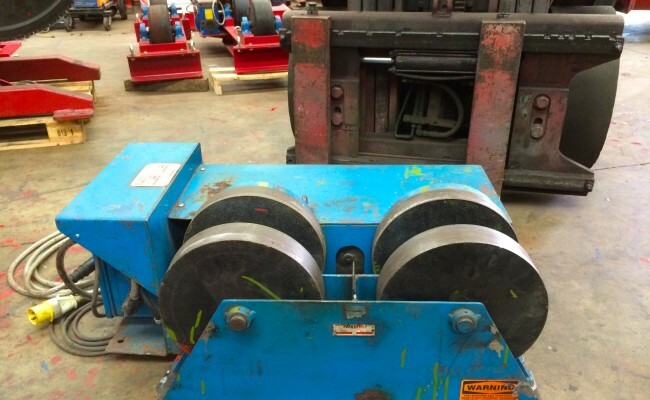 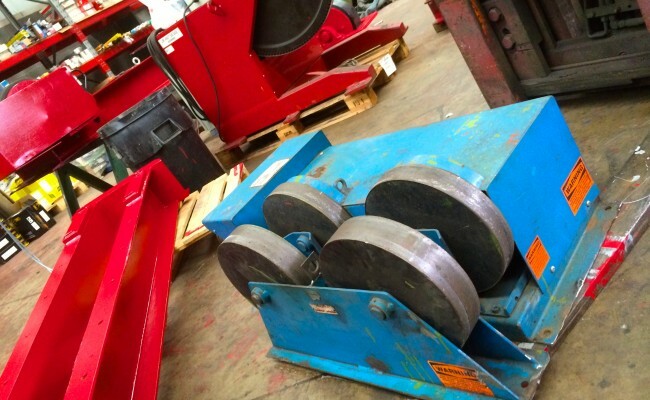 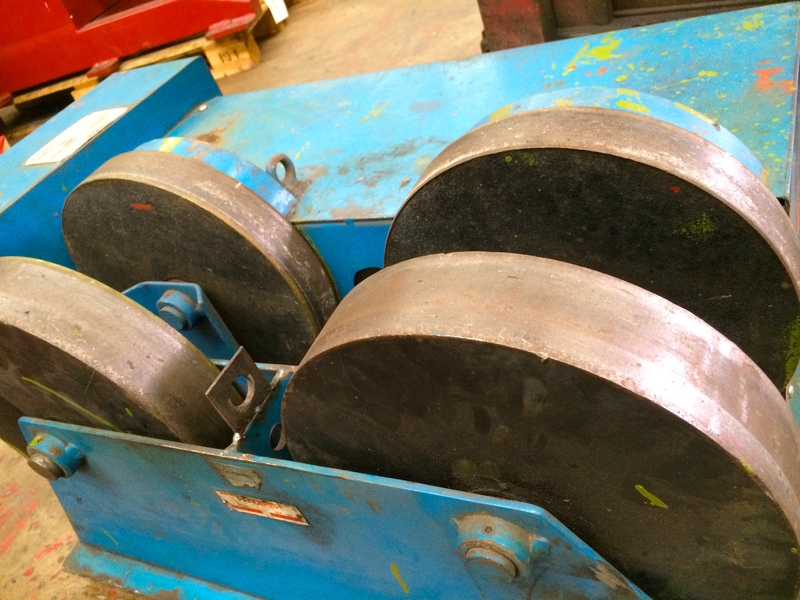 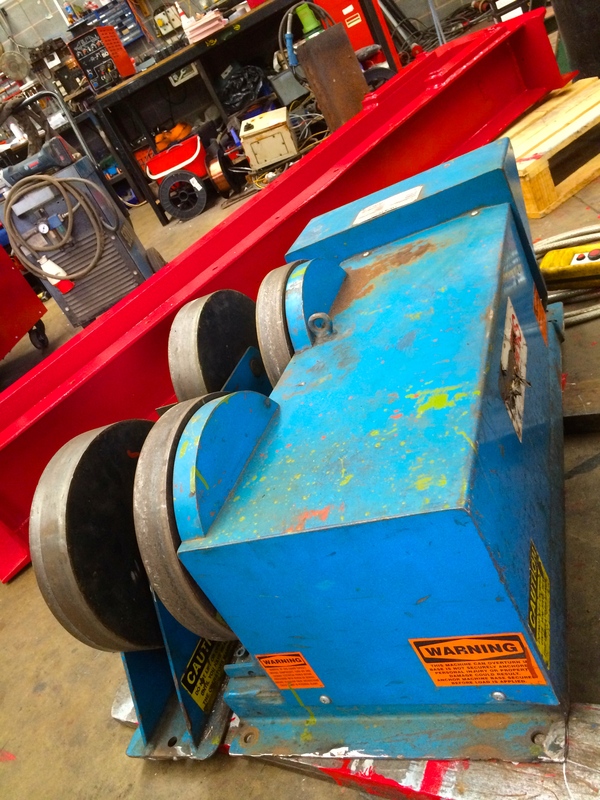 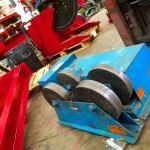 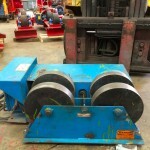 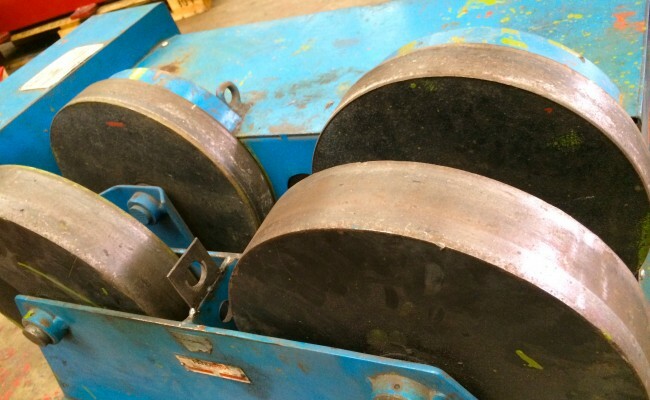 Here are a set of our 5 tonne fixed steel wheel pipe rotators, designed for pipe and vessel work that requires extremely high temperature pre-heating. 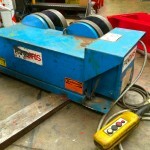 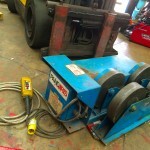 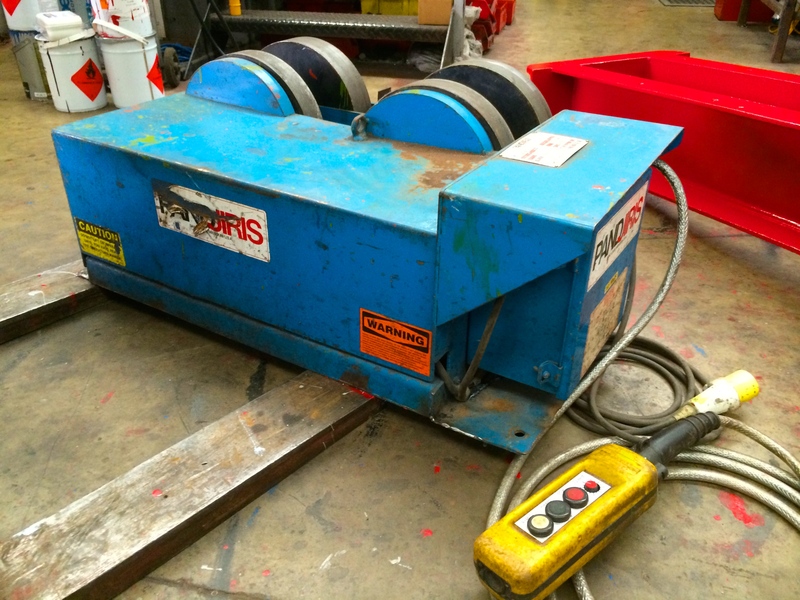 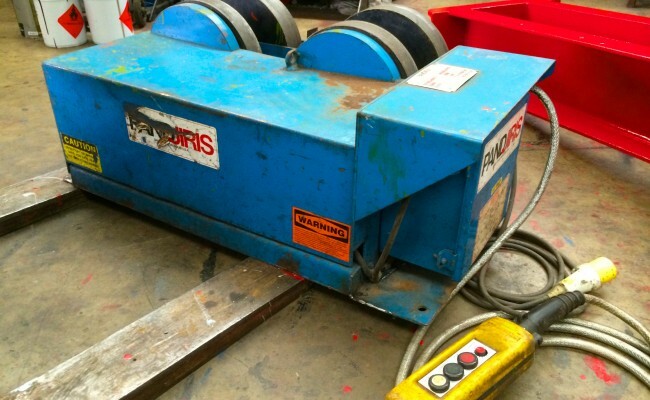 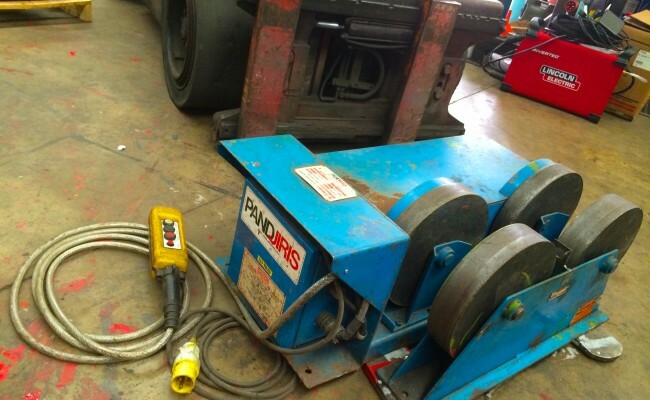 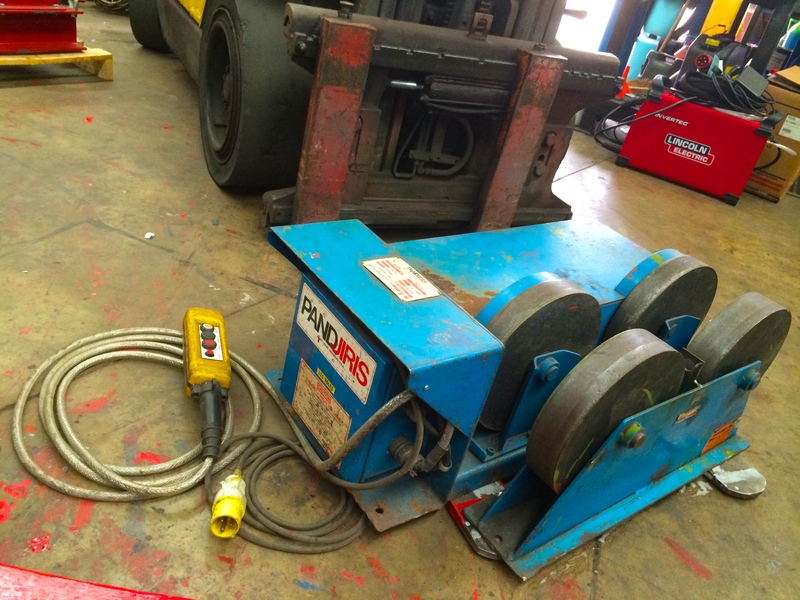 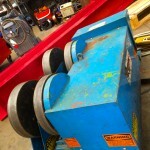 These rollers are powered by 110V and available to hire or buy. 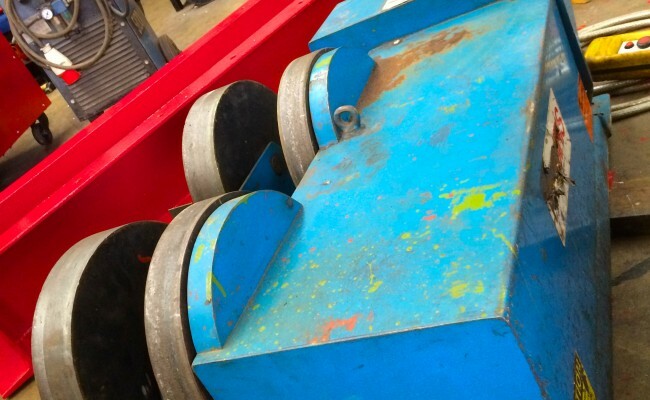 This model has fixed wheel positions as part of its compact design to take up less space.